Each week, between the wee hours of Sunday night and Monday morning, a new quilter will take over the 52Quilters social media accounts and use them to share what they do, what inspires them and the world they live in. 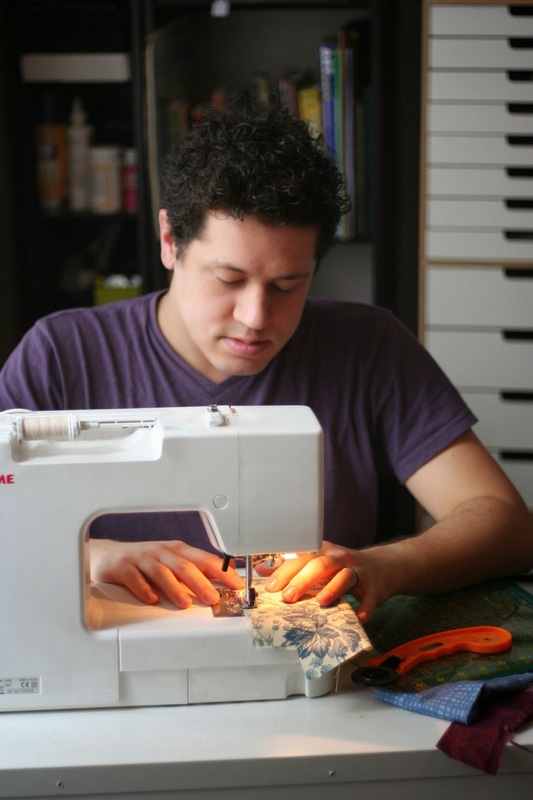 Follow 52Quilters to find out about new quilters and their communities. Each quilter will also submit a piece of physical patchwork representing themselves (must measure 9 1/2 by 9 1/2 inches) which will come together as a part of the 52Quilters quilt to be collected over the year and finished in 2016. What will happen to this quilt is up for discussion, should we auction it for charity? donate it to a good cause? exhibit it at a quilt expo? The decision will be up to the quilters and up to you. Chris is a crafty guy who has been making his whole life. He is into crafts, museums, oral history, coffee and cake. Although his crafty roots are in Canada, he works and lives in London, England. From Monday to Friday he works for Crafts Council and outside of his working life he likes to spend his personal time on Lazy Crafternoons and other craft endeavours that connect people and making. Chris will be the first quilter to blog/instagram/tweet but will also guest-post throughout the year to tie the 52Quilters story together and update people on the project as it unfolds. As original as the 52Quilters are, this idea is inspired by the many other '52' accounts out and about on the interweb. Check out Bristol52 and Sweden projects for more inspiration!